One treatment expert said he is concerned, in particular, about young people who can very quickly gamble all of their money away online. Alan Galvin, manager of the Saoirse Addiction Treatment Centre in Limerick, believes gambling addiction is “one of the most serious epidemics” Ireland is facing. He is concerned, in particular, about the rising popularity of online gambling among young men and the lack of control, which he described as “a massive issue”. “One lad showed me, he was watching a game on his laptop, logged into the portal or whatever, and during it he was getting targeted for quick bets, say on who scores the next point. It’s instant and through the whole process they can constantly gamble,” he said. I think the whole thing around targeted marketing, that’s like giving a guy a Playstation game and emptying his bank account at the same time. It becomes an interactive process with tech and that’s dangerous. Saoirse, which is based in Limerick City, offers non-residential day treatment for people over the age of 18, free of charge. According to a report by the National Advisory Committee on Drugs and Alcohol (Nacda) in 2015, 64% of adults engaged in gambling over that last year. However this report used a broad definition which included buying a lottery ticket, bookmaker gambling, slot machines and playing family bingo and did not give details of how frequently people were gambling. 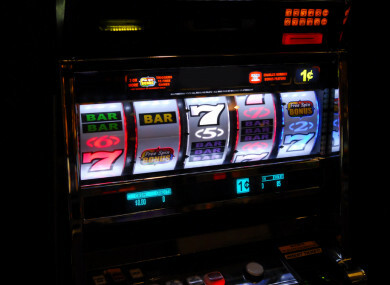 In the last two years, Revenue has begun to crack down on casinos with unlicenced gaming machines, collecting over €1 million in extra taxes from non-compliant businesses. But while officials may be targeting these businesses for tax purposes, Galvin said little is being done to regulate the actual gambling that happens in them. We have extremes where people will just gamble all day and all night in casinos. I don’t know why it was but during the recession I saw all these casinos coming up. They’re open all night, they’re dimly lit, you can find a corner and you’ll be left alone ’til you’re penniless. Some of them even have ATM machines. We just accept them. Galvin said Ireland needs to take a serious look at the relationship it has with gambling. “Let’s be honest how many people would turn up at the Galway Races if there was no bookmaker? Take the alcohol and bookmaker out of the Galway Races and we’d be left with an empty course. It should be about the races but it’s not. I’m not anti people enjoying themselves, but if you take the layers away, you’re left with very little,” he commented. In response to a parliamentary question last year about services available to gambling addicts, Minister of State for National Drugs Strategy Catherine Byrne said they are offered the same range of interventions as those who present with a drug and alcohol addiction. This includes “an initial assessment, a comprehensive assessment, and individual counselling”. “Counselling and rehabilitation services provide care to those presenting with a gambling addiction through one to one counselling, financial advice and onward referral to other services and supports where appropriate, such as Gamblers Anonymous,” she said. She said the HSE also provides funding to voluntary service providers which offer these services. Email “Ireland's gambling epidemic: 'Find a corner and you'll be left alone 'til you're penniless'”. Feedback on “Ireland's gambling epidemic: 'Find a corner and you'll be left alone 'til you're penniless'”.